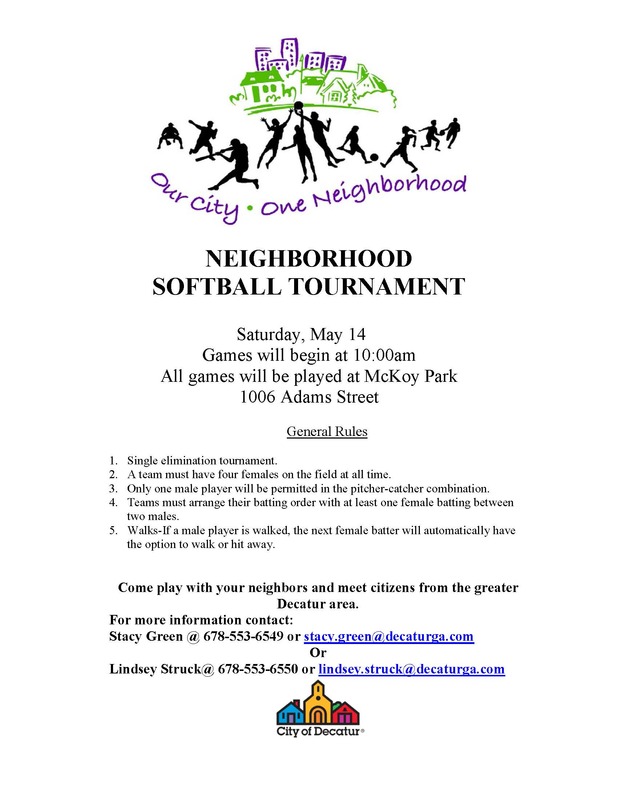 The Annual Neighborhood Softball Tournament will be held on Saturday, May 14. It is a fun, coed, single-elimination tournament for teams with a majority of Decatur residents. It’s a great way for Decatur residents to come out and meet some of their neighbors. If interested or if you’d like some more information please feel free to contact Lindsey Struck@ 678-553-6550 or lindsey.struck@decaturga.com or Stacy Green @ 678-553-6549 or stacy.green@decaturga.com (You don’t have to have a coed team playing in the league to participate).